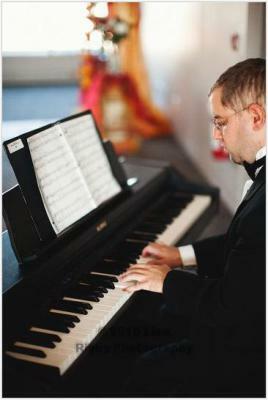 Ian has been playing piano for over 30 years and has played at weddings and funerals. He also plays for other special functions such as parties, open houses, and receptions. He mostly plays his own compositions, but can learn other music upon request. Booking rates are negotiable. Ian enjoys composing for piano, choir and orchestra. He also writes music for film and recently won an award for Outstanding Original Score at the Boston Indie Mafia Wicked Film Challenge in Somerville, Ma. His choral music has been performed by the Bridgewater State University Alumni Chamber Choir, Jubilate Chorale of Brockton, MA, the Central Square Congregational Church Choir in Bridgewater, MA, the Trinity Episcopal Church choir in Stoughton, MA, and by members of the Unitarian Church Chamber Choir of Westport, CT.